This is the storage area where logs are arranged before being burnt or arranged to get dried out naturally. Wood stores are frequently timber-framed, with a pitched roof and possess vented sides. When putting away logs before use, it is essential to keep them under cover to avert rainfall from getting the wood wet. Wet wood does not burn very well, no surprise. 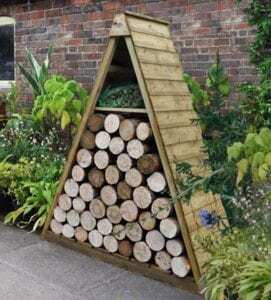 Read: Interesting article about seasoning and storing logs.